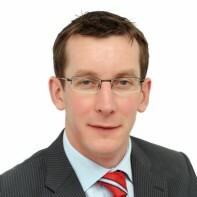 Councillor Pa O'Driscoll is a Fine Gael candidate in Cork East. O'Driscoll, who is a history and geography teacher by trade, has been active in local politics since June 2009 when he was elected to Cork County Council and Fermoy Town Council. His website states that he got involved in politics because he believes that "everyone has a responsibility to engage in their community for the mutual benefit of all." O'Driscoll has been involved with Fine Gael since his college days and was appointed as President of Young Fine Gael from November 2004 - February 2006.